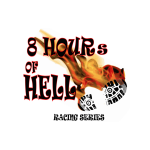 8 Hours of Hell is the first series of this kind in Southwest Florida. Runners will run from 10am to 6pm at 5 different parks in Lee, Charlotte and Sarasota counties, once a month. Then the top runners will be invited to run in the Championship Race at a 6th location. Trails will be in the range of 3-5 miles with a fully stocked Aid Station as well as water and Tailwind on the course too. Some courses allow a bailout partial lap. Entry Fees: $75 until April 30th then $100 per race. 4HOF will be $35 and then $ 40. Sign up for as many or as few as you like. Back by popular demand, 4 Hours of FUN!!! We are introducing a low cost “test the waters” (literally at Tippecanoe) fun run to invite runners to see what this 8HOH thing is really all about. The 4 hour fun run is designed to give newer runners and road runners a chance to check out some of the trails and parks in Southwest Florida while experiencing what an Ultra Aid Station has to offer. There will be some swag for the runners but 4HOF miles will not count towards the 8HOH Series unless the runner bumps up to an 8HOH race later in the Series. The Championship will not have a 4HOF at this point. Come join us for 4HOF and stick around to enjoy the show in the 2nd half! Race packets to include a different goodie each race: In the past we have done pint glasses, SAAKA headbands, bandannas, collapsible cups, Injinji toesocks, 8HOH car magnets, etc. All series runners to receive custom finishers dogtags for each race on a lanyard. The top runners will be invited to run in the Championship Race at Oscar Scherer State Park in Osprey, Florida on October 12, 2019. Full series runners will be given priority and then top finishers from each individual event. Then registration will be open to the general public.